10 Best Pressure Points for Self Defense - Which are the Best to Study? Many of you have asked me, so now here is it! An all NEW on the 10 Best Pressure Points for Self Defense! The body has over 361 pressure points and knowing which are the best, the most effective to train with can be hard! Not everyone responds/reacts the same to all Kyusho Jitsu Pressure Points! Now I have done the work for you! 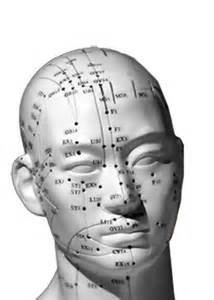 I have spend 16 plus researching what works the very best in the science of pressure point self defense. I have personally tested these 10 Best Pressure Points for Self Defense on a variety of different types of people. Therefore I am confident of the quality of this information! I know you have seen a ton of video from various instructors around the world. They tell you all about the best pressure points! But DO they really teach you EXACTLY HOW to use them? Not from what I have seen! When they demonstrate they work magic with the pressure points, but when you do it the result is not as desired! But not anymore! Our ALL NEW video the "10 Best Pressure Points for Self Defense" goes into details on the location of each pressure point, how to properly strike to activate them, why these pressure points are so important, and exactly how they work! No secrets, no missing information, NO BS! How did I develop this list of 10 Best Pressure Points for Self Defense? These come from years of seeing what works and what does not! All 10 of these are easy to access and get a strong result across the board on the people we have tested! Therefore making them effective and easy to implement into your self defense systems and martial arts! Plus a special FREE Bonus of 14 Printable Meridian Charts!